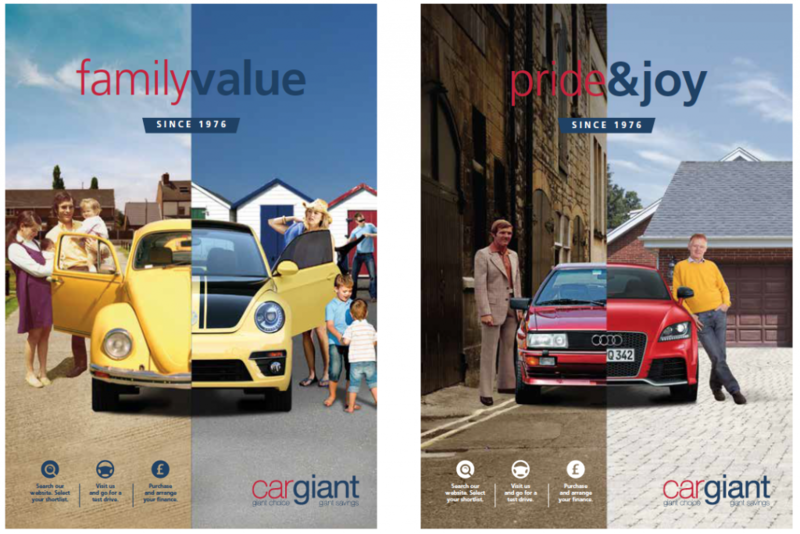 For choice and value in used cars Cargiant is hard to beat. Economies of scale, efficient logistics and an extensive site helps provide the company competitive edge and the customer considerable benefit. Cargiant is listed in the record books as the largest used car dealers in the world. Vehicles come onto the site at one end, go through all the inspection, repair and prep stages, are even photographed on a turntable in a specially fitted-out studio. They are then sold, financed if required and leave the other! 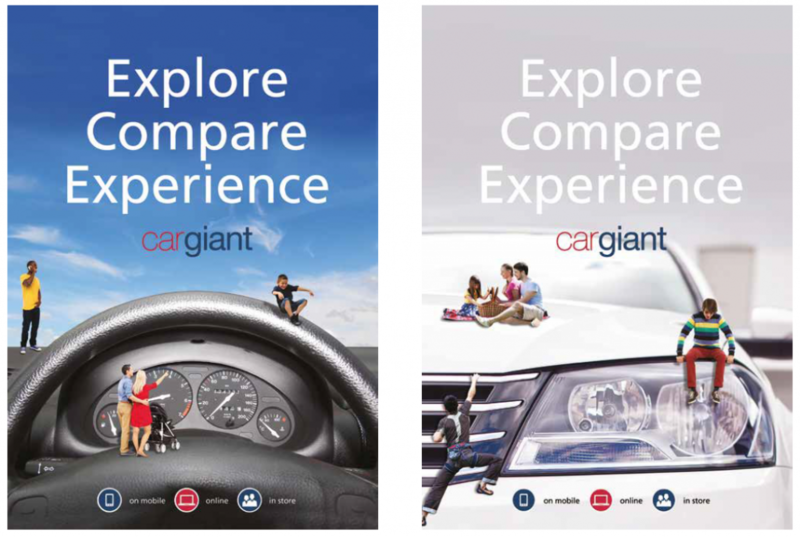 A few years back, Design Inc worked with Cargiant on an automotive advertising campaign. These three different automotive advertising concepts were part of our creative development work for this leading automotive brand a couple of years ago. This was around the time we published the ‘Lifetime to build’ brand book and the ‘A day in the life’ video playing mailer. 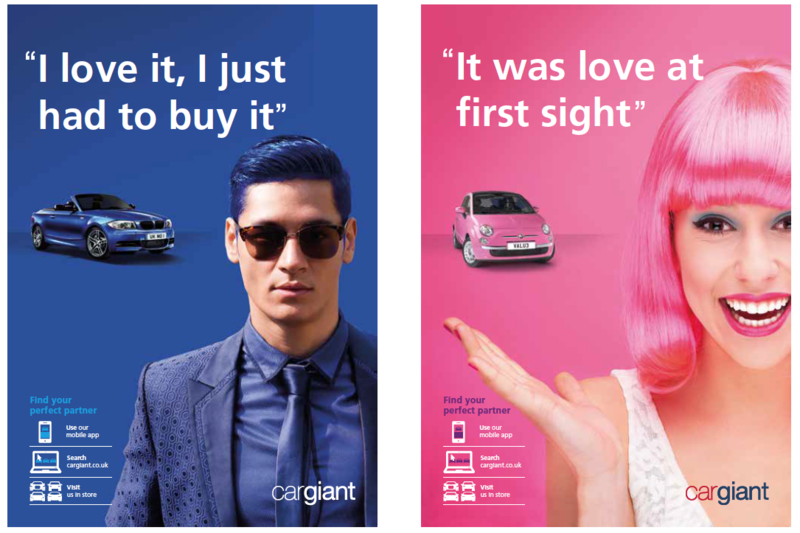 This colourful campaign idea being that there is a car for everyone at Cargiant, whatever your taste or sense of style. The second campaign concept shown in the main image shows little people exploring giant cars, again to represent the huge scale of the Cargiant operation.